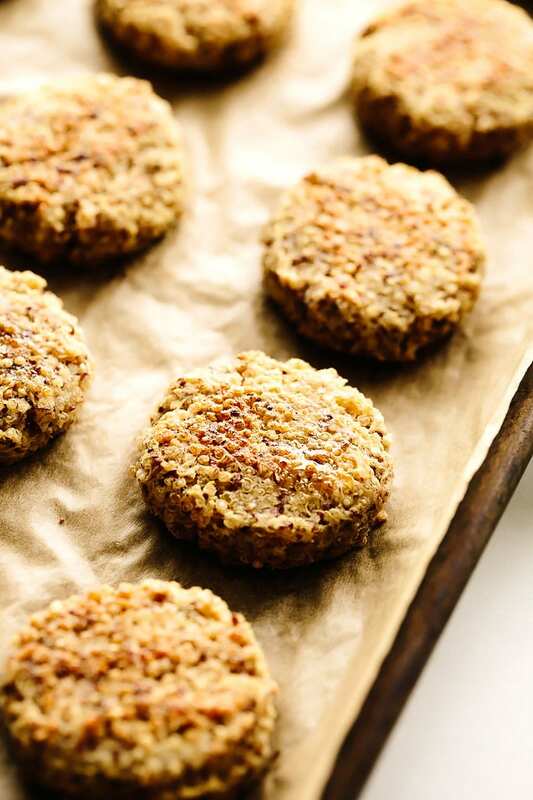 These baked vegan quinoa hash browns are simple to make and deliciously crispy. 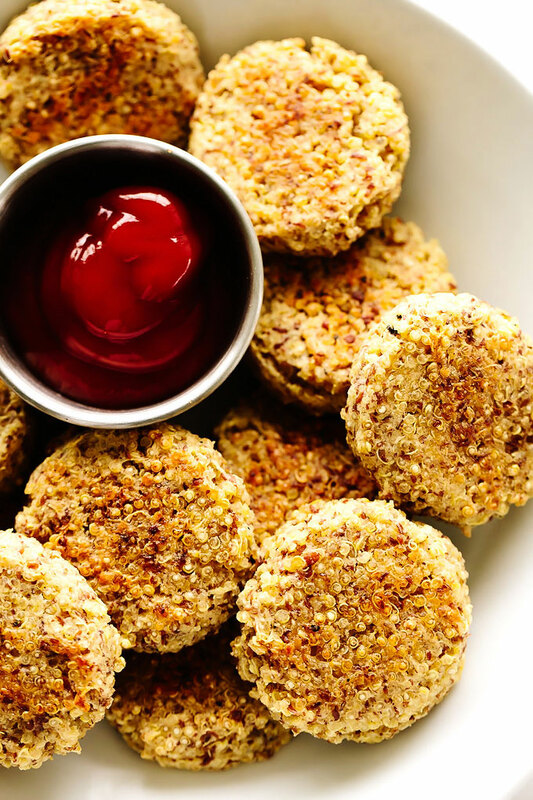 They’re potato-free and made with a short list of easy-to-find ingredients, including Bob’s Red Mill’s white quinoa, almond flour, and flaxseed meal. Pair them with tofu scramble for a filling weekend brunch or enjoy them all on their own with a side of hot sauce and ketchup for dipping. This post is sponsored by Bob’s Red Mill. Thank you for supporting the brands that support Blissful Basil! This recipe idea was one that came to mind in 2015 whilst in the throes of recipe testing and photographing my cookbook. I’d had grand plans of including it in the book, only I was running down to the wire on time and already had way too many recipes slated for inclusion in the book. And so, I added the recipe concept to my lengthy spreadsheet of 1000+ ideas to test for the blog. 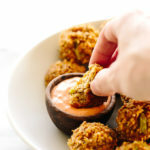 Only, every time I eyed the line that read, “quinoa hash browns,” I’d think, “that’s a great idea, but I’ve got a hunch it’ll require many, many rounds of testing, and I’m not sure I’m up for the task today.” I test every one of my recipes multiple times before sharing, but I had a feeling this one would go well above and beyond my usual triple-test-and-share routine. But as almost always proves to be true, the hard work payed off. By the final test of this recipe, my kitchen floor was covered in runaway quinoa pearls, I’d eaten several meals worth of these “hash browns,” and almost an entire work day worth of time had ticked away on the clock. But again, it was very worth it. This is one of those recipes that’s likely to take hold as a staple. 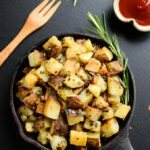 The base is minimally seasoned with salt, pepper, and garlic powder to keep the vibe true to “hash browns,” but I can see adding different herbs, veggies, and spices and turning them into more of a main course (e.g., slider patties). 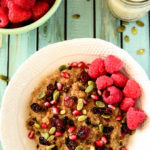 For now, we’ll keep things basic and stick with this quinoa twist on the classic breakfast side. Bob’s Red Mill Organic Quinoa. Bob’s Red Mill Super-Fine Almond Flour. Bob’s Red Mill Flaxseed Meal. You’ll start by pre-cooking the quinoa. Just a quick 10-minute simmer is all you’ll need to get the quinoa nice and fluffy. While the quinoa cooks, whisk together the flaxseed meal, olive oil, and a bit of filtered water. Let the mixture stand for 10 minutes, or until it thickens. This serves as an egg-like binder to hold the hash browns together. 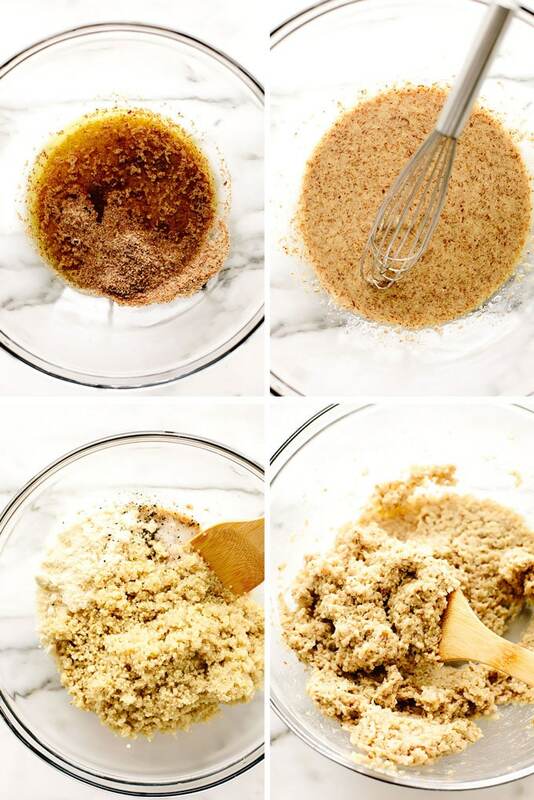 Once the quinoa is ready, add it to the flaxseed mixture along with the almond flour, lemon juice, salt, garlic powder, and black pepper. The hash brown “dough” will be quite damp, and a cookie scoop or small ice cream scoop is a necessity for this reason. Use a cookie scoop to gather and compress 1 1/2-tablespoon mounds of the dough. Then, drop each on a lined baking pan. Once you’ve formed all of the dough into mounds, dampen your fingers and use them to press and compact the dough into small patties. Then, bake the patties for about 15 minutes, gently flip them, and bake for another 15 minutes, or until they’re golden brown and crisp on both sides. 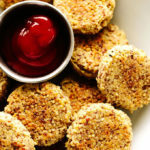 Once they’ve finished baking, serve them up alongside your favorite tofu scramble or all on their own with a bit of ketchup and hot sauce for dipping and dashing. 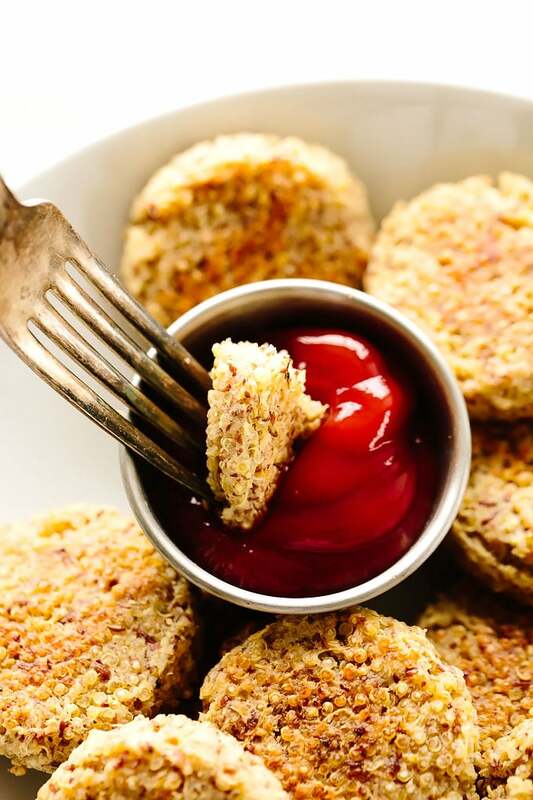 These baked vegan quinoa hash browns are simple to make and deliciously crispy. 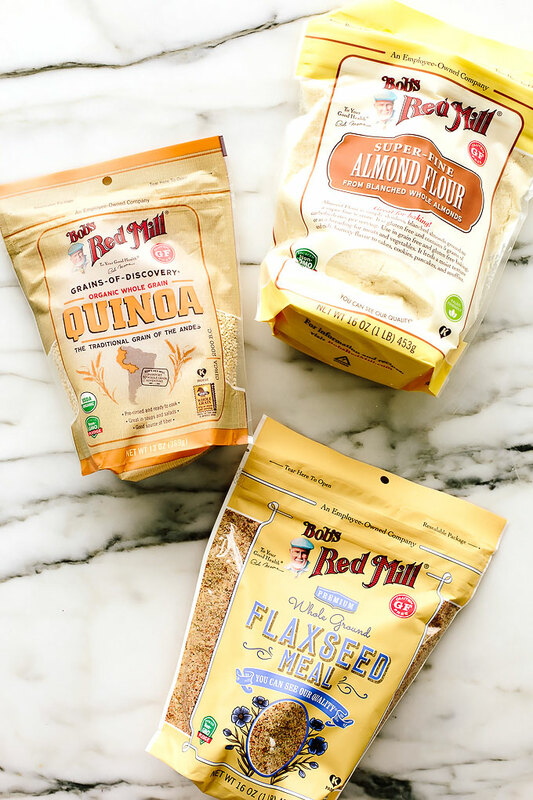 They're made with a short list of easy-to-find ingredients, including Bob's Red Mill's white quinoa, almond flour, and flaxseed meal. Pair them with tofu scramble for a filling weekend brunch or enjoy them all on their own. Preheat the oven to 400F. Line a large baking pan with parchment paper. 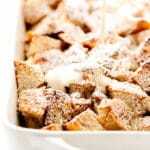 Thoroughly rinse the quinoa in a fine-mesh sieve or colander. Then, add it to a medium saucepan along with 1 3/4 cups of the water. Bring to a boil, and cook over medium heat for 10 to 12 minutes, uncovered, or until the quinoa has absorbed most of the water, stirring occasionally. 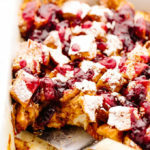 Remove from the heat, fluff with a fork, cover, and let stand for 5 minutes. While the quinoa cooks, in a large mixing bowl, whisk together the remaining 1/4 cup filtered water, the flaxseed meal, and the olive oil. Let stand for 10 minutes to thicken. Transfer the cooked quinoa to the mixing bowl with the flaxseed mixture. Stir in the almond flour, lemon juice, salt, garlic powder, and black pepper until incorporated. 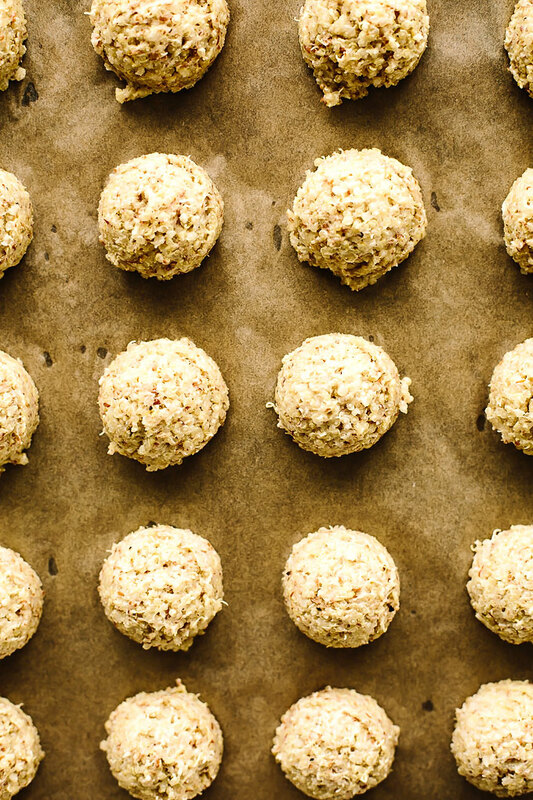 Use a 1 1/2-tablespoon cookie scoop to scoop out and compact mounds of the quinoa mixture. You want to really compress and compact them into the scoop. Drop each mound onto the baking tray. Once you've formed all of the dough into mounds (you should have about 24 mounds), wet your fingers and use them to press the mounds into small round patties. *Bake the patties for 14 to 16 minutes. Then, very gently flip each and bake for another 12 to 14 minutes, or until golden and crisp on both sides. 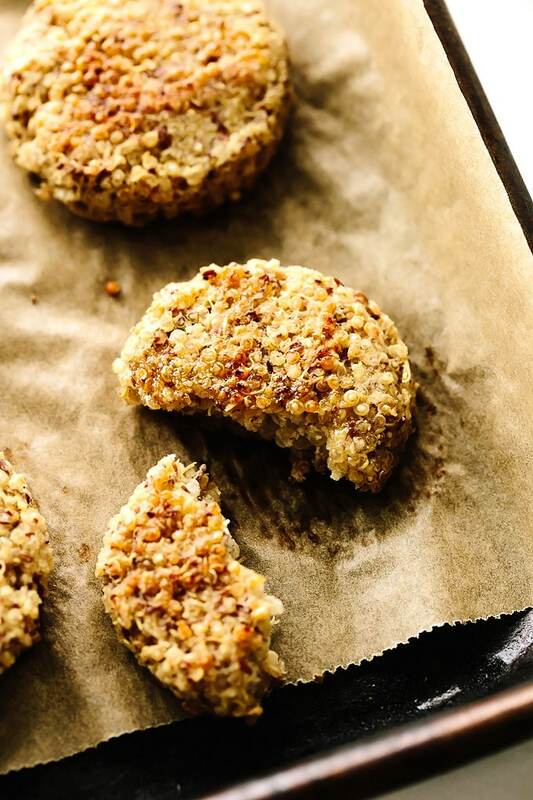 *There’s no need to add any additional oil to these hash browns, but for an extra treat, you can brush the formed patties with olive oil before baking and after flipping. This will encourage them to crisp up even more. **These "hash browns" are best enjoyed fresh from the oven. 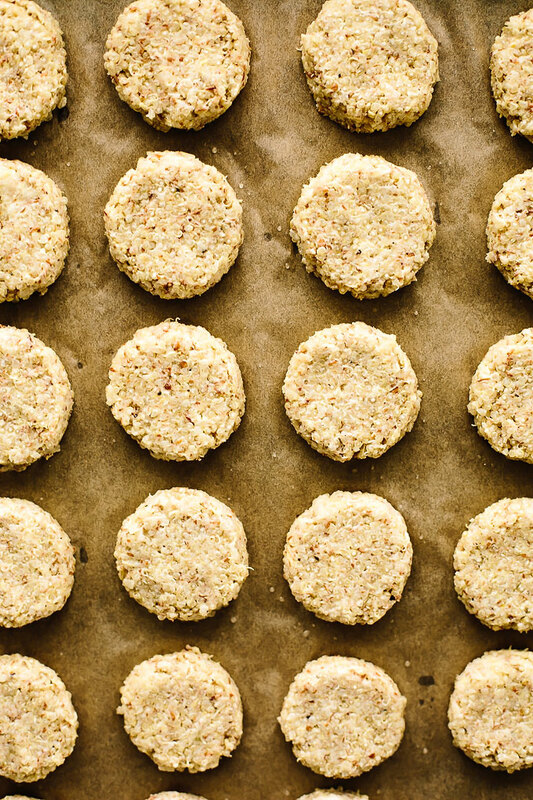 Since this recipe makes a generous batch (i.e., 25 hash browns), you can freeze any unbaked patties for up to 1 month and thaw and bake them according to instructions just before serving. Love how many serving ideas you could use these for! Plain, on top of a salad, with a fried egg, etc! Yes, absolutely! Love all of those ideas, Brittany! Hope you enjoyed them, Hannah! Hope you enjoy it, Diana! These have become a weekly staple in our house! We love them. Sometimes to mix it up we add in a fresh herb of the week. 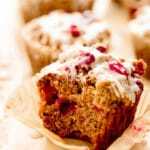 Is there any substitute for the almond flour that could work, that isn’t nut, seed or gluten based? The only substitute for the almond flour that I’ve tried is raw sunflower flour (ground sunflower seeds), which work but impart an earthier flavor. Unfortunately, I don’t know of any substitute that isn’t nut-, seed-, or gluten-based. Will let you know if I come up with anything though!